The obvious questions for analysis might be 'is Ngata worth $16M?' or 'is he worth $8.5M?' But it's more complicated. 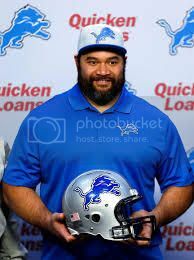 The right question for Detroit would be, 'is Ngata's marginal production worth his marginal cost over the next best option? And for Baltimore, the question would be, 'is Ngata's marginal production worth his marginal cost?' The loss of Ngata would certainly hurt, but it's not as if Baltimore will be forced to play only 10 players on defense next season. The production of interior defensive linemen (I'll just use DT for simplicity) is heavily dependent on how much they're on the field. Most DTs are part of a rotation and see only a half to two-thirds of a defense's snaps, so we'll look at their production per snap. DT Timmy Jernigan played well in his first year, and represents the next best option for the Ravens. He's making a hair under $1M per year and is entering the second year of his four-year rookie contract. But then another DT would need to take Jernigan's place in the rotation. From Baltimore's perspective, the decision could be boiled down to selecting one of two options. Option one is to keep Ngata (and find cap savings elsewhere) and Jernigan in rotation at their full salaries (and cap hits). Option two is to displace Ngata with Jernigan and then replace Jernigan's place on the squad with some other player. I'll name that player NMU, for 'Next Man Up.' That player could be a bargain FA or a draft pick. A second rounder would cost about what Jernigan cost, about $1M per season. And that's about 130% of the veteran minimum for a 5th-year player. The NMU could be journeyman Lawrence Guy who played decently for Baltimore last season at the minimum and who is currently an RFA. Last season Ngata registered .08 +EPA per snap, but his three-year average is just above .05 +EPA/snap. Accounting for his injury-plagued 2013 season and his age, a fair expected +EPA/snap for him might be .06 +EPA/snap. In Jernigan's rookie season, he notched .05 +EPA/snap. Assuming a somewhat even chance he regresses or improves in his second season in the league, I'll project him at .05 +EPA/snap for 2015. For the NMU, let's say he'd be a .03 guy, which is 60% of Jernigan's production (and coincidently 60% of Guy's) and only slightly above replacement level (which I roughly estimated at .025). Here's how the decision breaks out according to my rough production estimates. Option one keeps Ngata and his full cost. Option two sheds Ngata and his base 2015 salary. The production per cap hit for Option One is 6.9 +EPA/$M and for Option Two is 8.4 +EPA/$M. The production efficiency for Option Two is higher, meaning that that trading Ngata is more cost-efficient in terms of DT production. It would take a sub-replacement level player (at .01 +EPA/snap) for the efficiencies to be equal. What might be most surprising is that this holds true despite carrying $7.5M in dead cap space for Ngata. But cost-efficiency isn't the ultimate goal. A million matches are more cost efficient that a nuke in terms of thermal destruction, but I know which option I'd prefer in my arsenal. Losing Ngata may improve production efficiency, but it reduces production density. The correct goal is to optimize overall expected production within the constraint of the cap. That's a much tougher question for another day. When a team needs to find cap space, it needs to find a place that results in the best trade-off of production and salary, and that's why cost-efficiency matters here. It's ultimately a no-brainer for Baltimore before we even throw in the 4th and 5th round picks (minus a 7th rounder) from Detroit. We don't know how much, if any, Ngata was willing to renegotiate his contract. The true analysis would need to include an option three, keeping Ngata at a potentially reduced price. Ngata's production will be missed in Baltimore, but the decision makes sense.